Photo taken by me. In Little 5 Points, Atlanta. January 2013. I payed my first visit to this bookstore a few weeks ago, while down in Atlanta visiting friends. 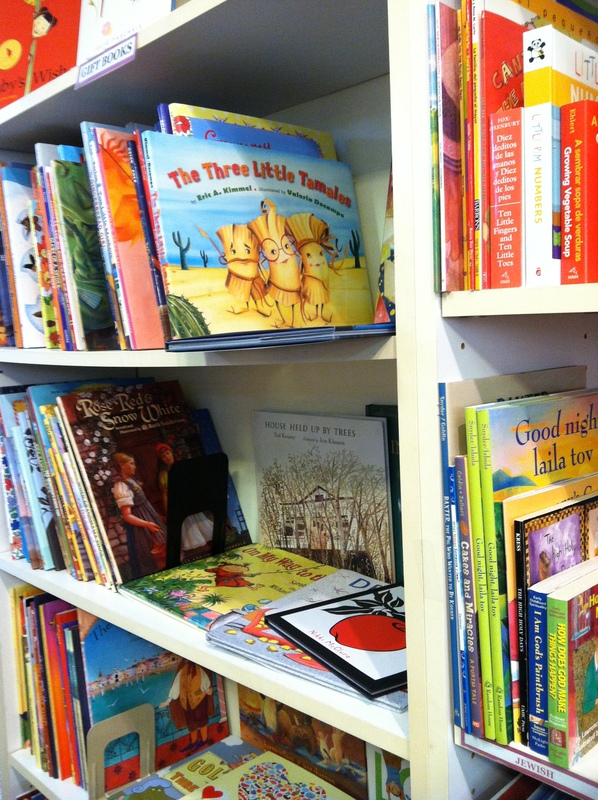 What’s most beautiful about this bookstore, is that it has such a large children’s section. One would think that it does not cater to the minds of the young; carrying only texts in feminist theory. Not at all. In fact, they carried a wide array of titles. Many of which I haven’t heard of before. 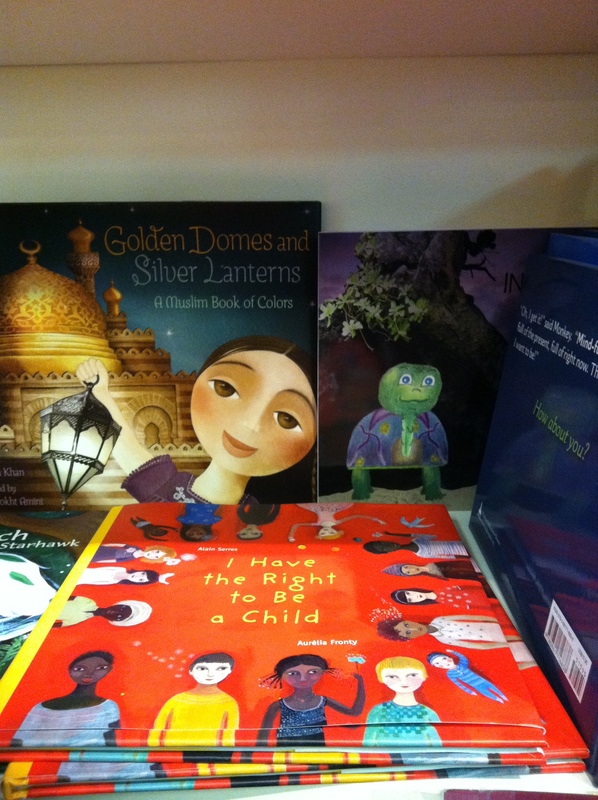 Children’s section at Charis Books, in Atlanta. Photo taken by me. 2013. 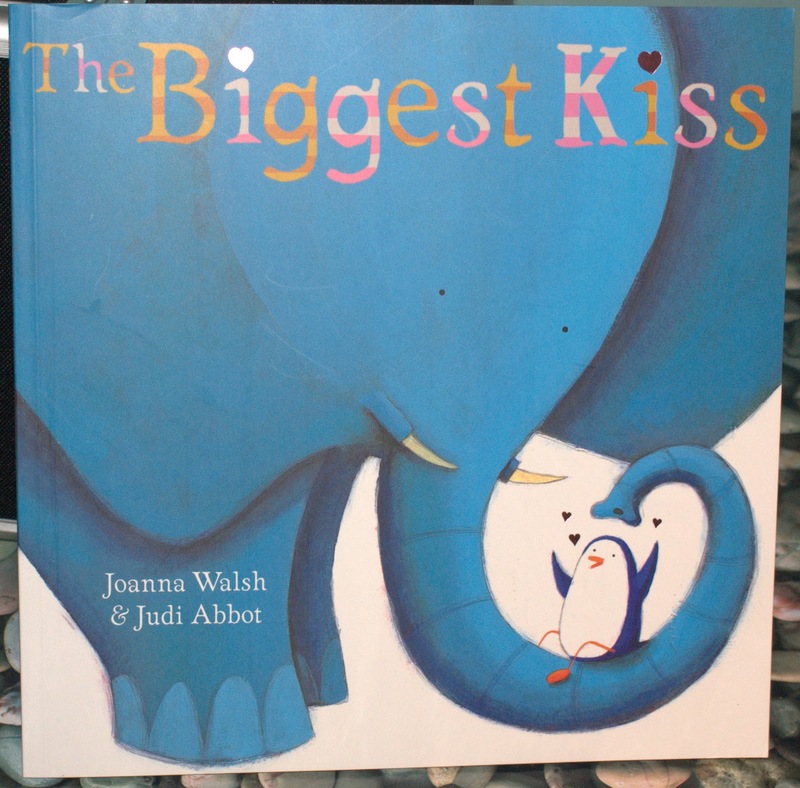 The Biggest Kiss is such an enjoyable read. Although, it may not be mindful of me to read it aloud with enthusiasm, to my students. It definitely encourages kissing. I want to read it to them, but the joy that I want it to induce, may turn into children taking liberties that they cannot. I already have some students that are overly zealous about touching and kissing their peers. (by touching I mean hugging, and grabbing, not ‘guidance counselor’ worthy “touching”). As a first-grade teacher, I practice the theory of “personal space”. No matter how much fun kisses on cheeks may be, it is not something that I can encourage them to do to each other. If another kid kisses another on the cheek, and the kissed child does not mind, then I don’t say anything, but if a child doesn’t like it, I must set boundaries. Therefore, I will keep this book in the take-home Lending Library. 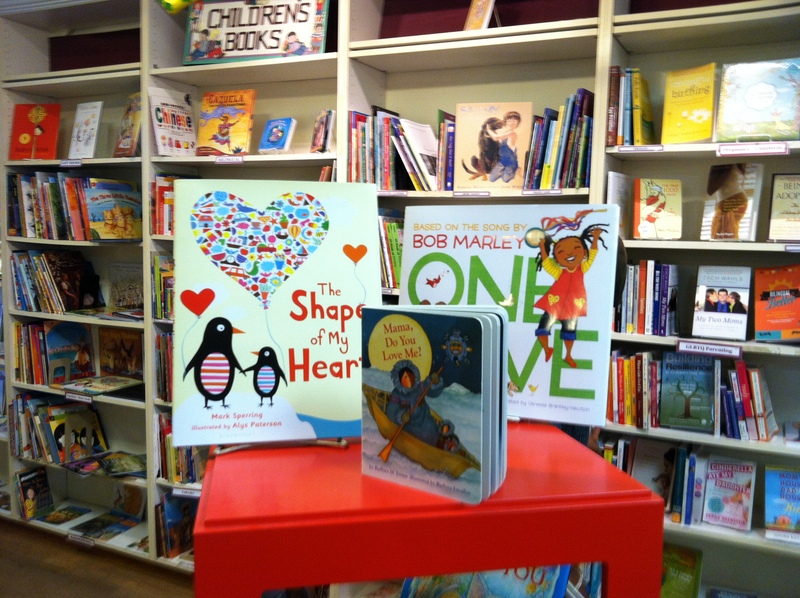 Children can enjoy this story, at home with their families. 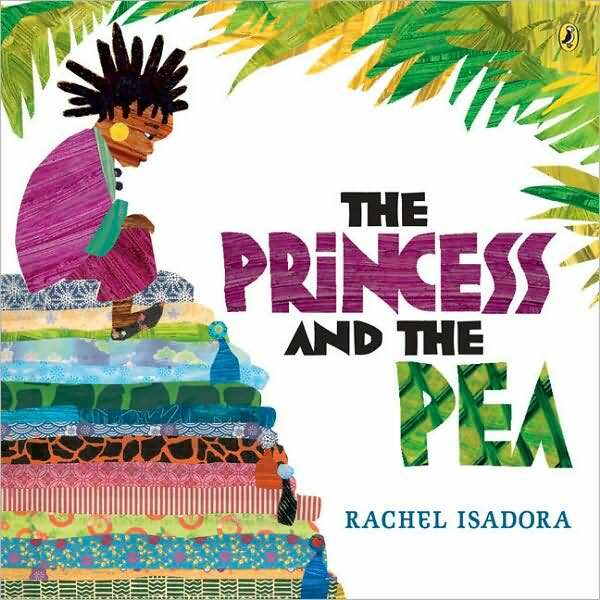 I have much respect for author Rachel Isadora. Re-imaging fairytale classics. Yes. She has many titles in this series of retold fairytale classics. I will absolutely keep this book in the classroom for the children to read, and will read it aloud at some point. 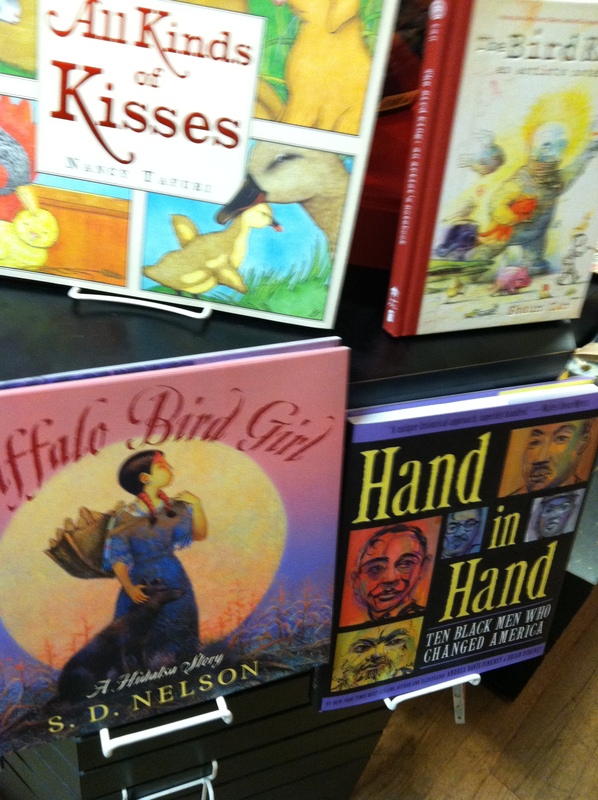 But I must tell you, that as a teacher, my acceptance of princess-focused literature is an flux. I want to steer away from our culture’s long history of associating princess life with girlhood. The two main components of princess-themed literature that I aim to disassociate with girlhood are: the blonde-haired, blue-eyed standard, AND, prince charming! Prince charming does not exhibit any qualities that one should seek in a mate. Prince charming’s character often resembles that of an abuser’s wooing stage. Blindly in-love with the princess, and wants to do everything for her because she is meek, fragile, worthy of worship and a caged life. Prince charming embodies ‘Chivalry’. Chivalry is a concept based on falsehoods. I sharpied the word out of our classroom’s dictionaries. That’s right. Although this story does character a prince looking for a “real princess”, it also shows that princess look like any woman. The prince in the story cannot tell the difference between the two. Because, ladies and gentlemen, there is no difference. That is the message I will tell my students when reading it. I bought 2 coloring books by Jacinta Bunnel. by Jacinta Bunnell and Irit Reinheimer. Published by Soft Skull Press. 2004.
by Jacinta Bunnel & Nathaniel Kusinitz. Published by PM Press, and Reach And Teach. I just had to get these two coloring books. I had never seen such books before. There are pages in them, that I will not photocopy for the children, but about half of the pages in each book, are appropriate for the public school classroom. Some of the more appropriate pages, I include in my previous blog post: What’s in a Coloring Page Anyways? 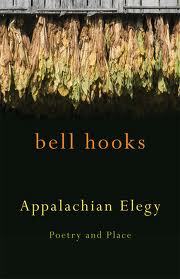 Appalachian Elegy: Poetry and Place by bell hooks. Published by University Press of Kentucky. 2012. Ah bell hooks. Okay, so I did not buy this one for the classroom, but I can very well see myself including one or two of it’s poems in our June poetry unit. I mostly include poetry written for adults in our poetry unit. See my previous blog post Poetry in Pictures. If you are not familiar with the works of bell hooks, and you are an educator, then I highly recommend two of her books for you. 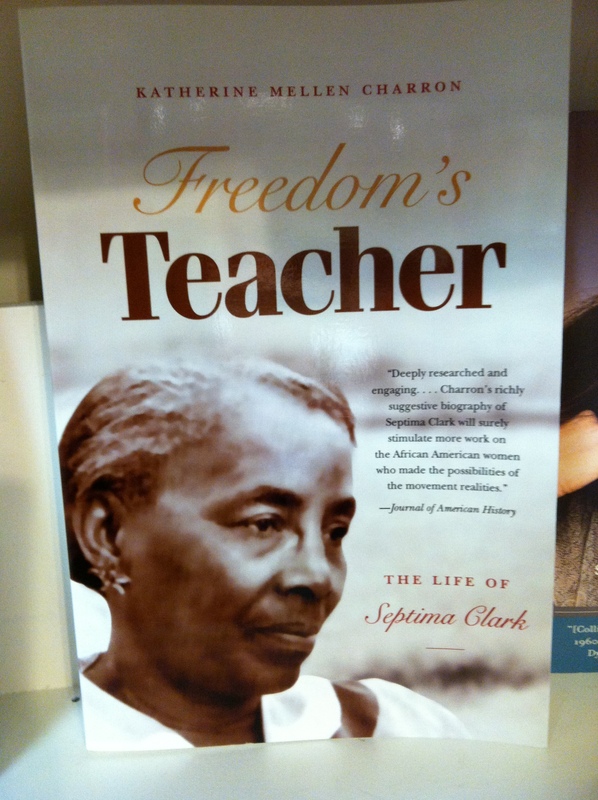 Teaching to Transgress: Education as the Practice of Freedom, and All About Love: New Visions. 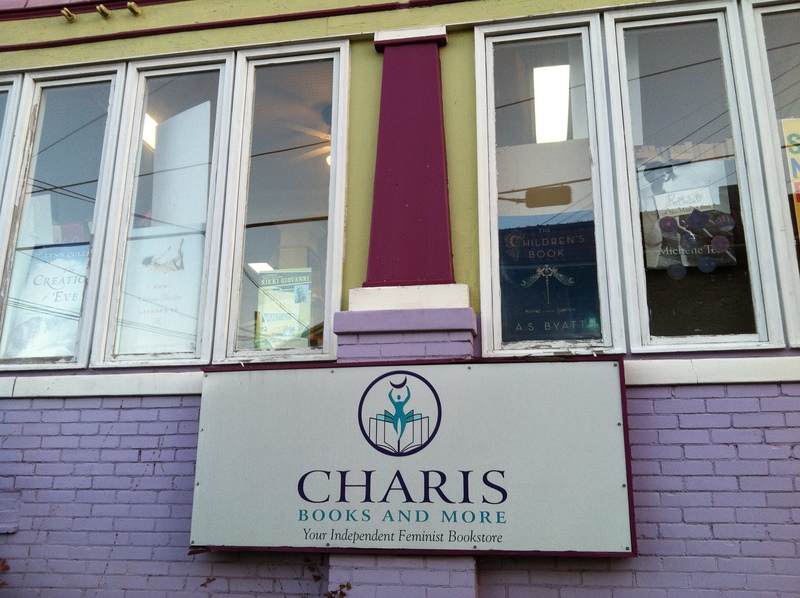 Here are some snapshots I took while in Charis Books. It was too beautiful not to capture. 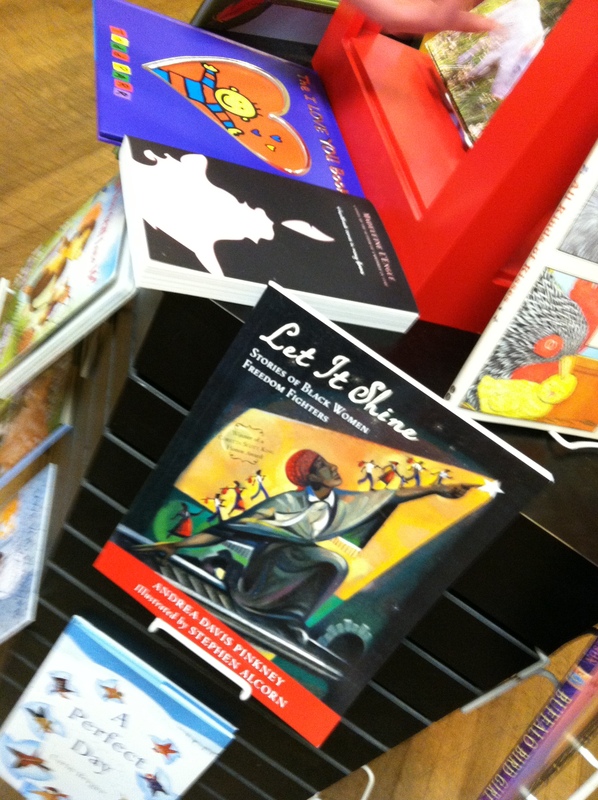 Children’s section in Charis Books, Little 5 Points, Atlanta, GA.
First bookstore visit to ignite tears of joy in me. I cried twice over their beloved children’s section. I scoffed once over their non-existent teachers’ discount. If I was given no reason to scoff, my purchases would have been far greater. Non the less, I would visit this bookstore again, next time I’m in Atlanta. Located in Little 5 Points. What’s in a Coloring Page Anyways? “The benefits of giving children a blank piece of paper versus a coloring book can be the same as when reversed. Each option has benefits… Coloring books that have just pictures in them provide an opportunity for a child to learn to stay within a set of rules. This is important to a point. One must learn to function within a parameter of rules in society as a whole. Learning to color inside the lines also helps with hand to eye coordination…Coloring inside the lines involves different perceptual and physical skills than is used in free form drawing on a blank piece of paper. Coloring books offer opportunities to develop the left side of the brain via attention to detail. ” – C.M. Tucker for Helium, 2012. We’ve all heard of a time when a kid was in school and was given some crayons and paper, and drew some scary scene of their reality. A monster in the bed, mommy getting hurt, someone holding a knife. You know the drawings. The ones that end up in the guidance counselor’s drawer. Much of the time, children still draw what I drew in childhood. A green line of grass at the bottom of the page, a blue line on top, a sun, a family. 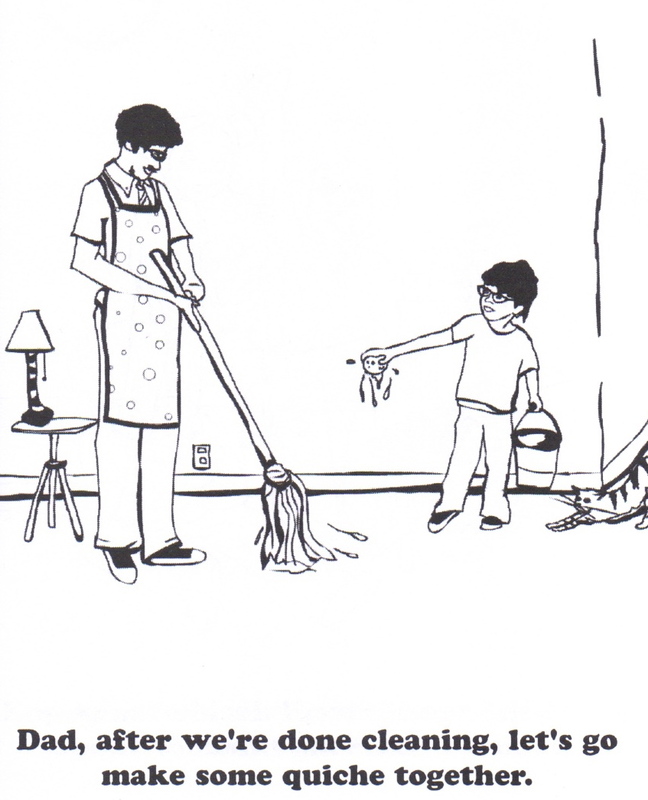 Kids draw what they see, what they experience. Coloring is an effective method of communication. Coloring is a lost art. No pun intended. 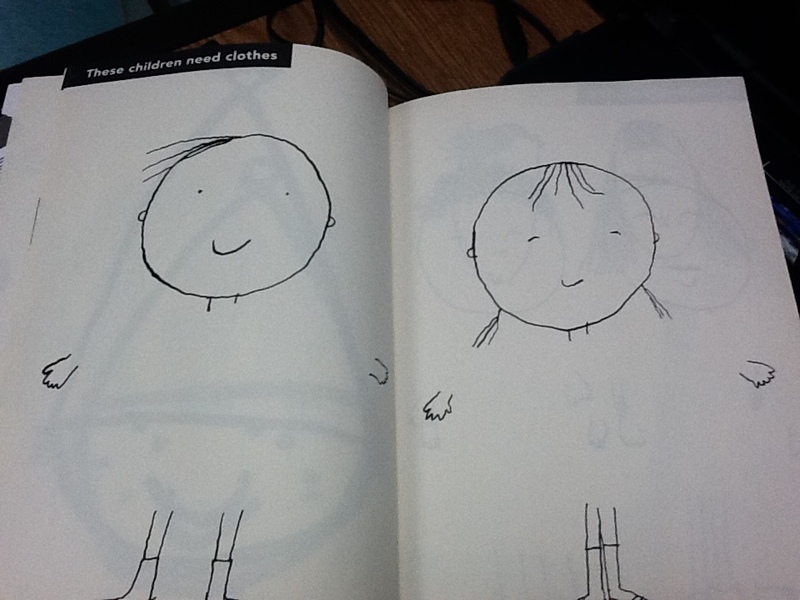 Our school’s art teacher often complains that first-graders enter her classroom with no coloring skills. Thanks a lot, Tablet. I try to fill this deficit with engaging, purposeful coloring time if the weather permits. Crappy weather equals no outdoor recess. No outdoor recess translates into more time to sit and eat your lunch in the cafeteria. Some board games will be taken out, if they’re lucky (Not my system). On days when I cannot bring them back into the classroom for freeze dance or hide-and-seek, I send them to the cafeteria with coloring pages. The art of coloring is quite meditative. It provides time for the child to contemplate reality, and paint it how they see it. 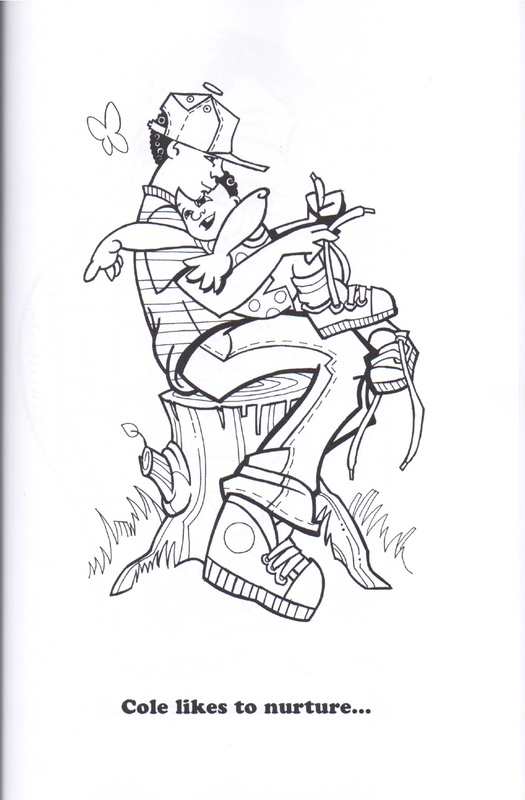 By offering children specific coloring pages, we are feeding them a social standard, an assumption, a norm. The norm predominantly exists as Barbie, and Disney. You can print out both themes in excess on the misleading and inaccurately titled website, http://www.educationalcoloringpages.com. On this popular website you can navigate through the coloring pages by clicking on one of the categories: Top Ten Coloring Pages, Girls Coloring Pages, and Boys Coloring pages, are the top links. Over 60% of the pages offered for girls are Barbie and Disney. The rest are other feminine popular characters branded for girls. They do nothing to educate. And if you google the phrase ‘coloring books’, Disney character themed printables are offered in the top three generic coloring page websites. 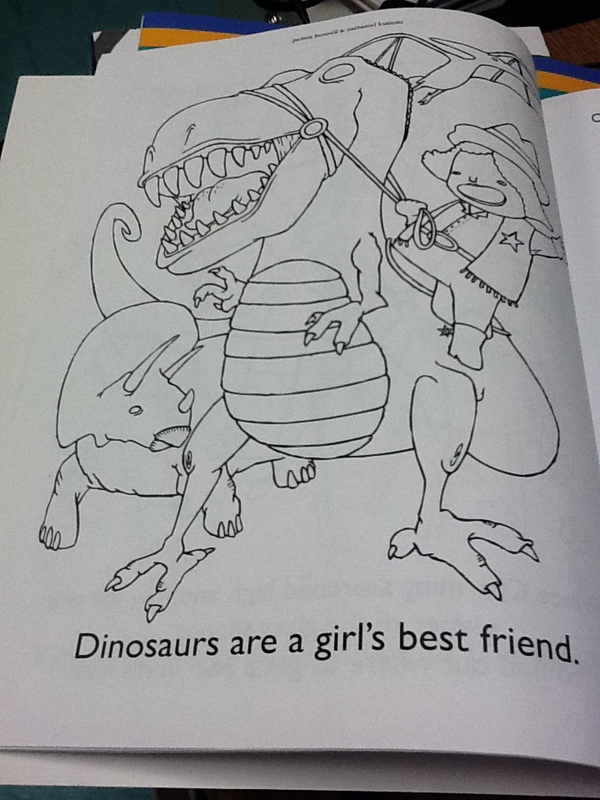 From Girls Will Be Boys Will Be Girls Will Be…Coloring Book by Jacinta Bunnell and Irit Reinheimer. Published by Soft Skull Press for Counterpoint LLC, Berkley, CA. 2004. Distributed by Publishers Group West. Printed in the United States. 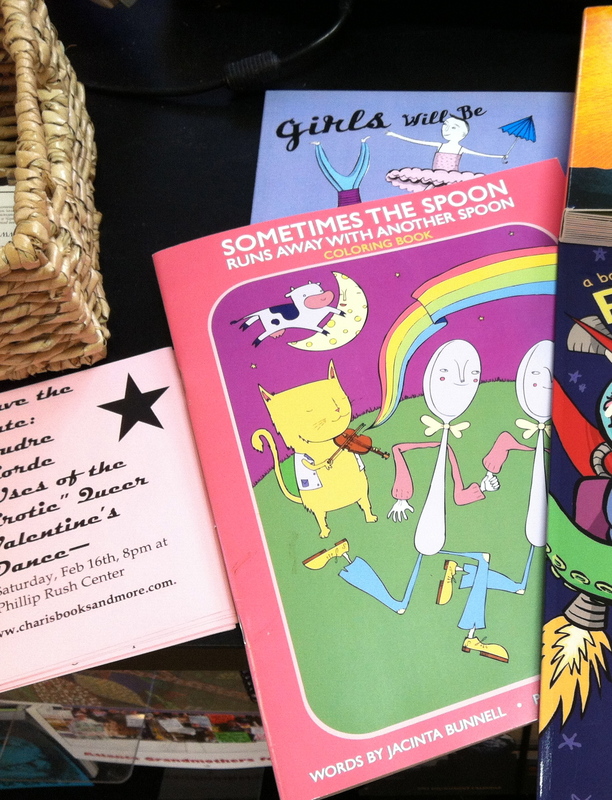 From Sometimes the Spoon Runs Away with Another Spoon Coloring Book by Jacinta Bunnel & Nathaniel Kusinitz. Published by PM Press, and Reach And Teach. Printed in the USA. Kudos for the author using the under-represented word ‘children’. 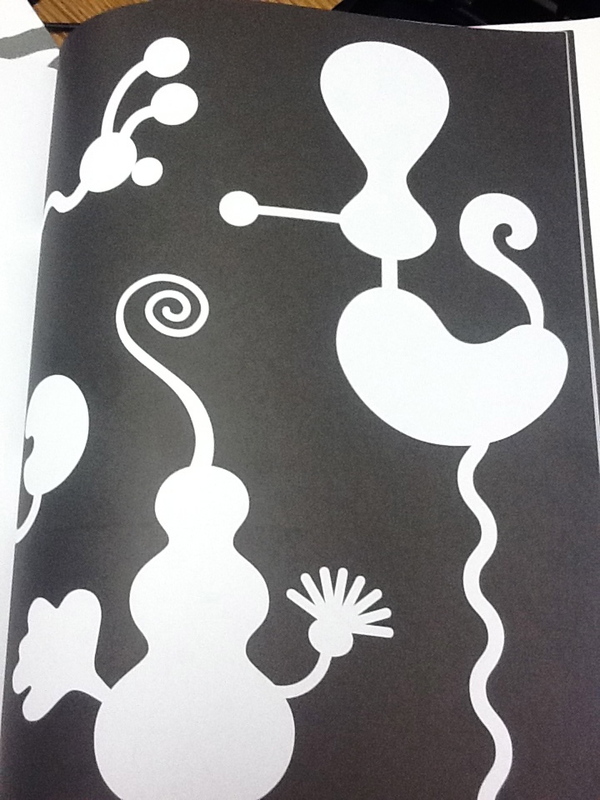 From Scribbles: A Really Giant Drawing and Coloring Book by Taro Gomi for Chronicle Books, San Francisco, CA. Manufactured in Singapore for Tien Wah Press. From Zolocolor! 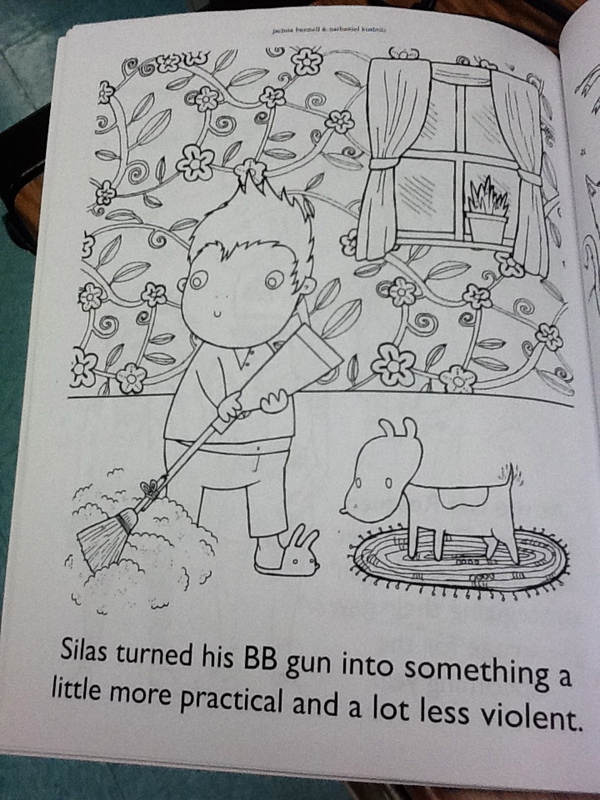 Doodling Between Black and White by Byron Glaser & Sandra Higashi for Little Simon, A Division of Simon & Schuster, New York. Thank you for reading The Picture Book Pusher. Now go color.